Neurological Assessment is a quick reference tool to identifying those all important links to pathology and physiology – crucial for efficient clinical reasoning and ultimately better patient care. 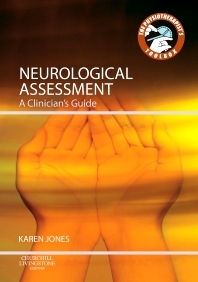 Based around one potential sub-problem encountered by neurologically-impaired patients, each assessment chapter begins with a Summary Bite and then provides photographic guidance on how to examine and define the problem with an explanation as to why it is important to assess it. All sections give detailed reasoning on any possible findings from the assessment technique and an example of how to record the procedure. Blank notes areas throughout encourage the clinician to reflect on the technique carried out and to consider the overall impression from the patient, so facilitating the process of clinical reasoning. Part of the Physiotherapist’s Toolbox Series – unlock your key skills! Perfect for use on placement and in the clinic.